PayrollPanda — Is PayrollPanda available in other languages such as Bahasa or Mandarin? Help Center Home App Is PayrollPanda available in other languages such as Bahasa or Mandarin? Is PayrollPanda available in other languages such as Bahasa or Mandarin? Our payroll software is currently only available in English, however, there's a free online translation tool you can use to translate it to the language of your choice. 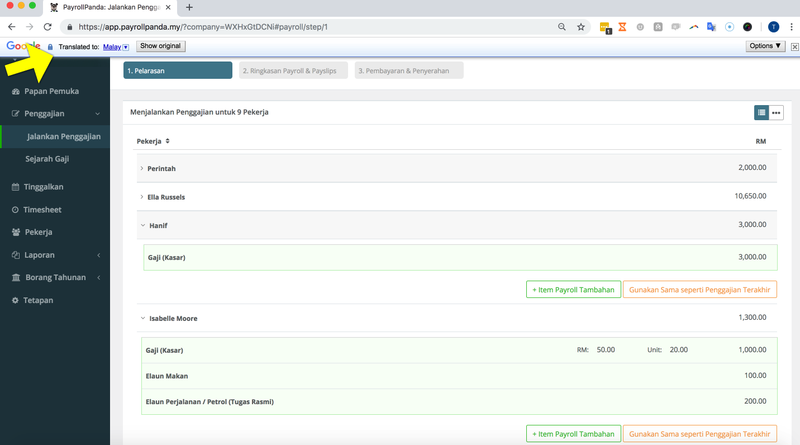 Whether you want to use PayrollPanda in Bahasa, Mandarin or any other language it does the trick. Download and install the Google Chrome Browser in case you're not using it yet. Add the Google Translate add-on and re-start your browser. Open the PayrollPanda app and you're able to choose a language of your choice.